“Get your Blues On!” with some down-home music at this annual favorite event at OTCA! On Saturday, March 23, 2019, at 7:00 P.M., the 9th Annual Old Town Blues Fest will feature Bresnan Unplugged as the headliner act, along with Hans Olson on the opening set. The night will also feature a special guest appearance from Joe Neri, past Director for eight years and Founder of the Blues Fest. This year's Blues Fest will present a rootsy touch to the blues tradition, featuring “old-timey,” folk, and jazz standards. 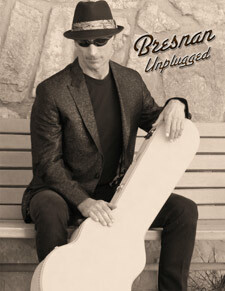 Dan Bresnan, leader of Bresnan Unplugged, is also this year's Blues Fest Director. The Bresnan Unplugged Trio will perform two sets of music and is happy to return to OTCA after many well-received sold-out shows at this venue. The ensemble on this performance features leader, Dan Bresnan (vocals/acoustic archtop guitar), Steve Douglas (acoustic upright bass), and Dr. Bob Sellani (drums). Hans Olson has been a fixture on the Arizona music scene for 50 years. After fronting many bands in the 60's and 70's, Hans' solo act became more popular than his bands and he now plays solo all the time. He has released over 17 albums. He has toured extensively in the U.S., Canada, and Europe. We are honored to have Joe Neri return to Arizona as the Founder and past Director of the OTCA Blues Fest. 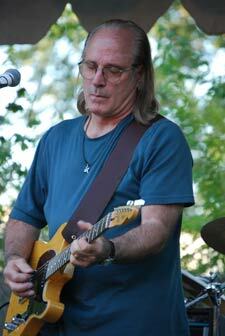 Joe will present a special performance on vocals and guitar at the beginning of the Blues Fest program. Get your tickets early for this very popular event.